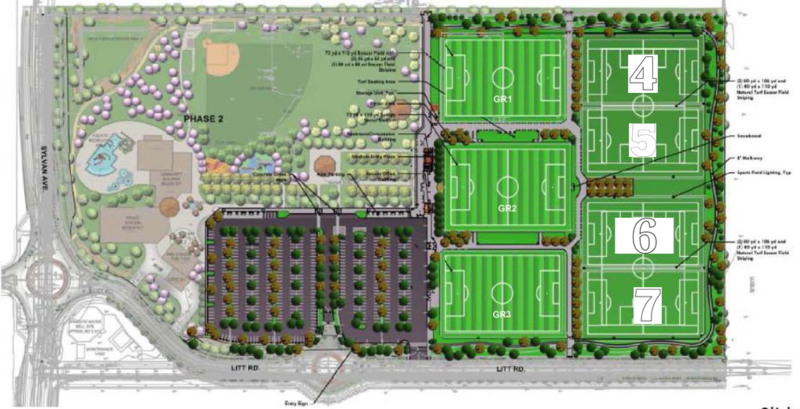 This park fulfills a long-standing need in our community for more soccer fields. As shown in the illustration below, the park has seven fields. Most can be figured as one large field or two youth fields. Three of the fields are synthetic turf, and the entire complex is lighted. A parking lot and restrooms are included in this phase, along with a walking-jogging path around the perimeter of the entire site.